Coffee and Yoga- is it Good or Bad? It’s a routine for many of us to take brew before doing our morning exercises. But if you are trying to live a healthy lifestyle, you may wonder if taking coffee and practicing yoga are compatible. Or if drinking coffee may affect your yoga practices negatively. The last thing you want to do is to do is jeopardize your chances of earning the purity of mind and body as well as flexibility. So it makes perfect sense to find out if something works for you or not. In this article, we are going to simplify things and help you decide whether or not you should continue having that cup of coffee before yoga. Yoga has surprisingly many benefits for our bodies. You get to be more flexible and vibrant throughout the day. But coffee has its advantages too. For instance, taking a cup of espresso in the morning helps you to wake up. 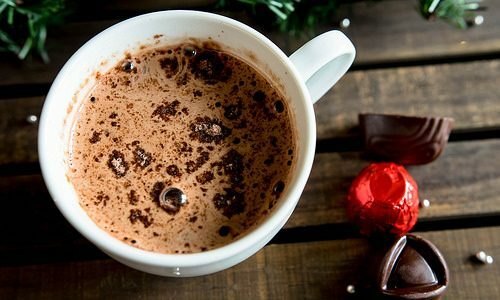 Coffee is rich in antioxidants that help fight some diseases and other than that, research suggests that coffee will significantly help in reducing the risk of certain diseases like cancer and diabetes. This drink does not favor your yoga practice, but having it every morning will not interfere with yoga. Coffee is diuretic which means it dehydrates you. But when doing your exercises, you need to stay as much hydrated as possible. Drinking espresso makes you sweat more and lose vital vitamins and minerals such as potassium and magnesium. Also, you know coffee is a stimulant, which makes it helpful for some yoga exercises like the vinyasa practice. But it also makes some people jittery and irritable in the morning. Coffee generally impacts your nervous system. That is why you will hear some yogis saying it helps them stay focused while others might complain of the drink being a distraction. If the drink makes you feel strong and energized, we suggest that you go for it. However, there are times when you should completely avoid it. For instance, before you step onto your mats. In as much as it’s tempting to hit the java to give you a little push during the days that you are dull and not in the mood, you shouldn’t do that some minutes before you start exercising. Coffee and yoga don’t mix just right before the practice. That is so because the drink may cause unrest hence interfering with your exercises, so if you are going to drink coffee, do it some minutes before your yoga time. Also don’t drink coffee immediately when you wake up. Take it after like an hour or so. And lastly, don’t drink it before an hour after your yoga practice. What to Substitute Coffee with? If drinking coffee negatively affects you, you can substitute it with other drinks. For instance, you can opt for coconut water before your yoga exercise. And after, instead of coffee, replace it with green tea. It will give you the caffeine kick. At the end of the day, all we want to achieve is a flexible body and a healthy lifestyle. So if coffee works for you go ahead and drink it. But you should remember to only take it an hour after waking up and an hour before practice. And you should also limit yourself. Remember coffee is a stimulant and if you are hypersensitive, you may get palpations. 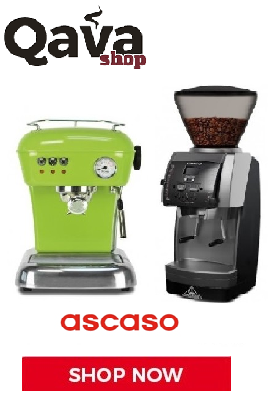 You should make sure that the coffee you drink is made naturally and is healthy and free from harmful preservatives, a good quality espresso machine would be a great addition to your kitchen. Buy Espresso machines from Rocket Espresso for amazing coffee every time. We also advise that if you can, you take your coffee after yoga, because it may give you more benefits than drinking it before. That is so because, when you get out of your yoga workout session, most people will find something to eat first. And taking coffee at such as time can help with digestion. Also, note that both yoga and coffee will give wake you up and help you stay active during the day. So instead of relying on one, you can use both. For instance, if you always take a cup of espresso first thing in the morning, try doing yoga one day, in the morning of course and judge how you feel. And on the other hand, if you are a person who practices yoga in the morning, you may drink a cup of coffee decide whether or not it positively or adversely affects your yoga practice or mood. Yoga has many passionate devotees and forms that can be intimidating when you are just getting started. However, whether you are simply looking for a place to relax or nail a handstand and find some balance, yoga is a great form of both physical and mental exercise. In order to access the benefits, yoga has to offer, it is essential to understand and figure out which type of yoga either hatha, vinyasa or heated yoga is the right match for you. If you are new to yoga, then there is no need to worry. In this guide, we discuss everything you need to know about yoga as a beginner. What do you need for your first yoga class? Well, most yoga classes are done barefoot on a yoga mat. Additionally, even the most basic yoga stretches require clothes that can stretch and allow you to move easily. Therefore, you need to wear outfits that allow you to move easily. If you are doing a gentle or a slower yoga, dress warmly (a sweet pant and a t-shirt) will do. While for vigorous classes, wear shorts and tank tops or t-shirts. Some yoga classes use additional equipment like props, bolsters, chairs, straps, and blocks. As a beginner, there is no need to purchase this equipment since they will be provided by your studio. In any case, if you need to purchase something, only buy a yoga mat. Well, yoga is accessible to anyone. No matter your age or hat you are looking to achieve, how much you weigh, or what you do for a living. Yoga is not exclusive. It is an exercise that befits everyone as long as you have the interest. Maintain and improve the health of your joints, muscles and other organs. Help keep your mind healthy. Help improve your performance and prevent injuries in any sport. Increase your sense of being and happiness. Help you get a better night sleep. Yoga is a practice that involves both physical exercise and a discipline that helps you feel healthier and relaxed. The best way to determine if yoga is right for you is by giving it a try. What you need to know before doing your first yoga class. If you are attending any yoga studio, then the rules are similar to any class. Do not arrive late, put on perfume or interrupt the teacher. Although questions are welcomed during the session, it is prudent to ask questions before or after the session. It is worthy to note that a yoga class is a place where you should feel cared for and comfortable. It is a space without judgment even if you are unable to cope up with everyone. Discussed below are the top 5 yoga poses you should be aware of. Mountain pose is probably the starting base for all poses. It gives you the sense on how to ground your feet and feel the earth. It might appear as a simple pose, but there is more to it. To do it, stand with your feet unruffled, then press down with your toes as you start spreading them wide open. Next, you need to engage your quadriceps order to lift the kneecaps through the inner thighs. Next, take a deep breath while raising your hands overhead with your palms facing each other and arms straight. Reach out towards the sky with your fingertips as you feel the relaxation. 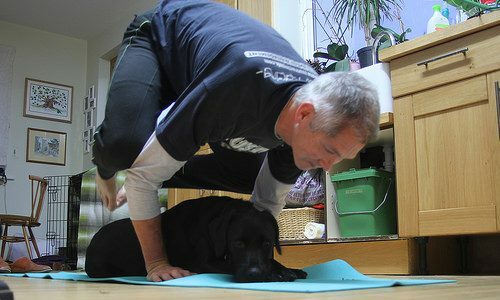 Downward dog helps in stretching and strengthening the entire body. In order to do a downward dog, come to all your fours with your knees under your hips and wrists under your shoulders. Next, tuck yourself under your toes and raise hips up off the floor as you draw them back and forth towards your heels. Additionally, you need to keep your knees slightly bent while you straighten your legs out and keeping your hips back. You can walk your hands forward in order to give yourself more length whenever you need to. As well, you need to press through your palms firmly as you rotate your inner elbows toward each other. Hold for 6-9 breaths before dropping your knees and hands back to rest. Plank style teaches you how to balance your hands while supporting the entire body. It is a great pose to strengthen your abdominals. In order to make it through this plank, from all fours, tuck yourself in and lift your knees off the mat. Then slide your heels back until you feel a straight line energy from your head to the feet. You can engage your lower abdominals by drawing your shoulders down and away from our ears. Next, hold a deep breath of 5-8 times as you pull your ribs to rest. This is a wonderful standing posture that allows you to stretch the sides of your waist. Besides, it helps open up your lungs, strengthen the legs and entire body. Start by spreading your legs one foot apart. Then open and stretch our arms to the sides at your shoulders height. Rotate your right foot out at 90 degrees while maintaining 45 degrees with the left leg. Engage your abdominals and quadriceps as you hinge to the side. Repeat the process as you place your right hand down on our knee shin or ankle. Tree posture is an awesome starting and standing point, especially for newbies. It helps them work on to gain clarity and focus as they learn to breathe while keeping the body balanced on one foot. You can start off by standing with your feet together. Then proceed by placing your left foot on the inner right upper thigh. Next, press your hands in a prayer position as you find a spot in front of you that you can steadily gaze on. You can hold your breath for 6-8 breaths before your switch to another side. Ensure you are not leaning on one side as you keep your abdominals engaged. Yoga is not a belief, cult or religion system. At the root of it, there is a self-inquiry. Whether you are doing a yoga meditation, pose or a breathing technique, it helps you connect with your inner body as you reflect on your life experience. Besides, yoga is for everyone as it is geared towards giving you a realization of your inner self. Keeping fit is the best treatment you can give your body. Physical exercise gives you the ability to be flexible hence comfort always. The activity prevents several disorders such as high blood pressure among others. Among the favorite exercises to undertake is Yoga. It is the most ranked mental and physical exercise for to its many significance. The practice is internationally carried out, not only burn the calories and strengthen muscles but due to many health advantages associated with it. Following are significant benefits of the workout. Long working hours got their advantages and disadvantages on the same measure. The benefits are an increase in earning while disadvantages are poor posture and one can develop neck and back pain. Regular attendance of the Yoga workout can do magic. That means it improves the posture and prevents the pain. Frequent office work makes one too soft and might lead to weak muscles. The office work weakens the body muscles exposing one to various health hazards. The practice gives one room to build strong muscles and also to strengthen the weak muscles. Being physically fit is everyone dreams. The exercise provides one chance for that. Proper blood flow is very healthy for our bodies. The blood flows through various vessels in the body to the heart for oxygenation and from heart to the entire body. The flow of the oxygenated blood is what keeps us fit. The exercise ensures no blockage in those vessels and enhances smooth flow of blood to all parts of the body hence proper functionality. The exercise is very healthy for keeping one physically fit. Regular attendance of activity improves body immunity hence strength to fight disease. The workout enhances one’s body capability to fight diseases thus smooth body functioning and cuts the medical bills. Taking exercise on a regular basis is among the best therapies. The practice keeps one flexible and good body structure. Being flexible and with good body gives one courage to accept themselves. The acceptance improves your self-esteem, which is a very vital aspect in your life. Undertaking the exercise will strengthen your body and relax your body as well as the mind. Yoga is essential on that. A relaxed mind is straightforward to deal with on various matters. The relaxed body and mind create an excellent atmosphere to deal with your family, spouse and working mates. You cannot afford to miss attending yoga ones you get enlightened on the benefits it carries. Excess weight can be a bother too many especially with the shortcomings associated with. Excess body mass can lead to obesity and other challenging disorders to our health to control this, have a date with yoga. Taking yoga daily enables you to lose excess weight and maintain only what is necessary. The daily exercise at the working place can exhaust you a lot. Exhausted body is an exhausted mind. That means less blood flow in mind hence poor reasoning due to mental tiredness. Having a few minutes for yoga daily will do magic. The lost energy will be regained, and due to body muscle relaxation, you will have ample time after work to reason and plan well for your future. Anyone with improper digestion is highly advised to check on this. A few bodies twist every day will keep all your organs in movement hence health digestion. Improper digestion overworks the kidney leading to kidney failure therefore huge treatment bills to control the disorder. Always check for yoga daily to avoid such challenges. The disorder is a common health challenge to many. There are various ways of controlling the disorder, but due to lack of knowledge over that, many people end up suffering in silence. The daily twists strengthen the lungs hence raising the ability to manage the breathing challenges ones they occur. Cardiac arrest is among the deadly diseases that one can ever think about in their life. The yoga controls anxiety and stress that inhibits the proper functioning of blood leading to depression. The free heart thus functions smoothly with less possibility of an attack or failure. 10. The Yoga Strengthens The Body Bones. Strong body muscles are very vital. The same effect one gets for strong bones on running, and weight lifting is obtained on yoga. The muscle densities are very crucial especially to pregnant mothers and people working on heavy duties. Fragile muscles make one week and expose them to various risks. Your health is your wealth. The proper check of your health leads to great body functioning. To achieve fitness, regular exercises are essential. Yoga has for years proved to be the best choice of physical activity. Decide to start yoga, and you will never regret. Quite often, a lot of people find themselves confused about whether they should practice yoga or pilates. The two might appear to be similar, but each does have its differences and advantages. Nonetheless, if you are stuck wondering which is better among the two? Here’s a guide on both yoga and pilates. To fully understand these two workouts, we must first define each. Pilates was introduced by Joseph Pilates during the 1st world war. It was meant to help wounded soldiers recover. It composes of slight movements that work the back and core muscles. Every exercise begins with controlled breathing which aims at contracting the core muscles. Similar to yoga, it is practiced on a mat. Pilates can aid increase flexibility, strength, improve body posture, alleviate joint pain and much more. These exercises can also be done using specialized equipment that uses springs and levers. It is mostly referred to as a resistance exercise. Pilates are governed by the following six principles; control, concentration, centering, precision, breathing, and flow. Yoga is a bit more popular than pilates. Unlike the above, yoga was invented thousands of years ago. Its origin is however linked with the religions found on the eastern part of the world such as Buddhism. Yoga involves relaxation, exercise, breathing, meditation, and diet. 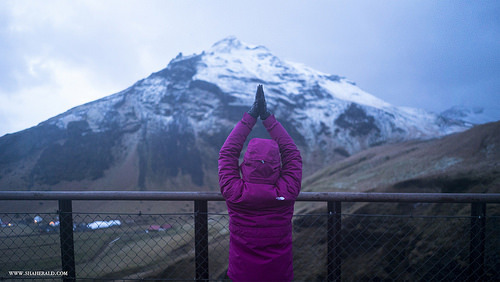 Yoga advocates strongly for people to embrace mindfulness. It also comprises different types of poses and movements which can be taught in a yoga class. It’s a combination of both mind and body fitness. Over the years, yoga has aided combat mental ailments such as anxiety and depression. Conditions such as arthritis, multiple sclerosis, and high blood pressure can be treated by yoga. Although they are a bit different, the two do have some common similarities. One of them is that they both employ the use of focused breathing. Deep breaths ensure calmness during the practice of both yoga and pilates. The two also advocate for mental focus which helps minimize stress. Finally, both yoga and pilates can be carried out with little equipment such as a mat and a couple of other props. As mentioned earlier, the primary objective of yoga is to unite the body, mind, and spirit. The yoga instructors train you on how to merge these three elements by use of meditation and yoga poses. It’s an excellent way of exercising both the mind and the body. The reason why most physicians recommend yoga is that it not only relaxes your mind but it also gives your body flexibility. Yoga is an ideal way of getting rid of stress. You should also know that it entails exercises done on a mat while using the weight of the body as resistance. To excel in these exercises, you must be focused and disciplined. On the other hand, Pilates, despite also involving mind and body unity. They entail machine exercises. Pilates workout the entire body particularly the core areas with the aim of making them move freely. This, in turn, improves body flexibility and strength. Another big difference between the two is that yoga mostly improves body flexibility thanks to its numerous poses. Whereas Pilates aim at relaxing tense muscles and giving the body strength and endurance. The ultimate goals of both pilates and yoga do differ. 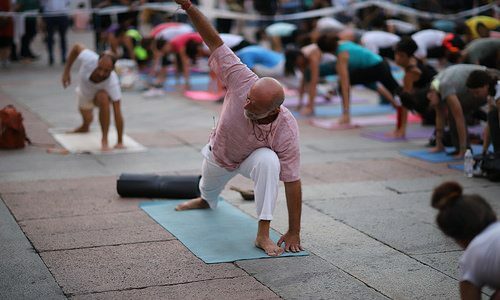 In the case of yoga, the major objective is to relieve you from stress while improving your body by use of various techniques. Pilates work your body from the core while going outwards. This often results in improved strength and body awareness. This is the most common question that people usually ask themselves. One thing that you have to know is that both are excellent workouts and can benefit you as mentioned above. Therefore choosing in between the two won’t be easy. With the different poses associated with yoga, flexibility is a big challenge. Nonetheless, the poses can be tailored as per a person’s mobility. But, with yoga, you will be bettering both your mind and body. As for Pilates, the equipment required can be expensive and hard to use. Similar to yoga, the equipment exercises can be modified. This, therefore, shows that they are all beneficial. The only way for you to know what works best for your body is by trying them both. The moment you enrol for yoga and pilates classes. You will familiarize yourself with what which entail and the benefits you will get. Most experts recommend that you practice both pilates and yoga for you to benefit more. Many people love vigorous exercises that get their blood pumping during the workout. But when you are doing the practice for sleep that may not be helpful. Experts, in fact, say that the most beneficial aspects of yoga are subtle and take a short time. Yoga is an excellent way to wind down your day. Research says that yoga helps people get better sleep. Some yoga poses have been brilliant in assisting people to sleep. Here are some poses that will help you beat insomnia and boost relaxation. With this pose, you get to enjoy a sense of calmness and stability. However, people with hip or knee injuries should be extra careful not hurt themselves. Kneel down on the floor then bring your toes together. Next, you need to separate your knees hips as wide as possible to extend to the edges of the mat. Breathe out and sink your torso onto your thighs. Allow your hands to relax alongside your torso such that your arms will be pointing towards the back of the room. This releases tension in your shoulders. Bend down your forehead on the ground and carefully roll your head on each side. This releases tension in your brow. Breathe in and out slowly through your nose. This is a part of Ashtanga yoga primary series that is mostly practiced as a seated asana. Sit on the floor with your shoulders hanging forward. Extend your legs straight in front of you and bend your knees if necessary. Bend your right knee then open the hip. Next, bring the sole of the right foot to the inner left thigh ensuring that the right knee is towards the ground. If you can’t manage that, use a cushion for support. Breathe out as you bend forward your hips ensuring that the spine and the neck are long. Put your hands on either side of your left foot. Stare at the big toe of the left foot as you inhale and exhale. Do the same on either side. Virsana is seated and standing asana in which yogis practice forward and backward bends and some twists. It allows stretching of the knees and ankles. It enables the lubricating fluid to flow to these areas hence protecting them from any injury. Seat in a comfortable pose and make your glutes to rest on your heels. Keep the top of your feet on the floor. Straighten your spine upwards and open your chest as you inhale and exhale. Use your breaths to slow down the heart rate and relax your mind. This yoga pose enables stretching of the thorax and the spine. It requires strength and flexibility to attain the posture. Lie on your belly. Put pillows under the stomach to be more comfortable. Stretch out one leg to the side and bend it to a 90-degree angle. Keep your knee level with the hip. Straighten the other leg to incline behind you. Turn your head to face the direction of your bent leg. Relax your belly as well as your eyes. And concentrate on the nostrils as you inhale and exhale. Uttanasana is an intense forward bending pose. It is a powerful stretch pose for your neck, and shoulder muscles. Keep your hips wide apart while standing. Take deep breathes. Breathe out and straighten your torso forward and over your legs. Allow your left hand to rest on the shin or on the floor. But do not strain to reach the floor. If you are having a difficult time, you can put blocks under each hand for support. Smoothly inhale and exhale through your nose. For people with tight harmstrings, bend your knees slightly such that your chest can lie on your thighs. When you want to come up, roll up slowly so that you don’t experience lightheadedness. If you are having trouble sleeping, these five yoga poses can help in remedying that. Stretching, in general, has a calming effect which helps you relax and concentrate on your body. But remember to be extra careful not to injure yourself. If you cannot manage a particular pose, do not strain to do it. Yoga has come a long way, and the practice is here to stay. Nowadays, it’s not unusual to see a yoga studio in your town. Yoga exercises like Reiki are now part of the mainstream culture. Practicing yoga improves strength and flexibility that is why many people enroll in yoga sessions. But did you know that yoga exercises can also benefit you mentally? That is why many psychologist and psychiatrist are recommending it for people who are suffering from mental disorders. Here are some mental health benefits of yoga. Stress and anxiety may take a mental as well as a physical toll. Yoga is capable of fighting stress and improving moods. When you go to yoga, you escape from your busy life. It’s a time where you just concentrate on your body and your entire self. Yoga helps in lowering the stress levels which ultimately reduces anxiety. As science will tell us, when one is overstressed, their bodies lose the ability to regulate the inflammatory response which can lead to a series of health complications. So if you are feeling stressed out and anxious, this is the best way to deal with those conditions. To get maximum benefits from yoga, you need to concentrate during the exercises. Each yoga pose can help in improving brain function. These yoga poses help in stimulating the brain and the nervous system in general hence resulting to a sharper mental concentration and focus. When you are deeply concentrating, it is easy to process and/or retrieve information. A short minute yoga workout will improve your brainpower to significant levels. Poses like downward dogs help relax and de-stress and also increase the brain function. Instead of using an a energy drink the next time you feel foggy, consider taking some time in the mat as this will help improve focus and information retention. Yoga has the ability to increase happiness. When you are doing yoga practices, a chemical called Gamma-aminobutyric acid (GABA) in the thalamus. The chemical is responsible for suppressing neural activity in the brain that leads to anxiety. A happier mind, means it functions well. Mindfulness is when a person focuses on the present moment without judgment. Yoga advocates that you concentrate in the now, that is what is happening at the moment. Thus, it facilitates mindfulness, which is an important aspect that syncs with emotions and help reduce daily stress and improves social relationships. The yoking of light and dark in yoga helps us to be more mindful hence recognizing qualities about ourselves that we were not aware of. Schizophrenia is a chronic brain disorder. Individuals who have it suffer from confusion, delusion and personality loss. Although this disease cannot be permanently cured, it can be controlled with long life treatment. Doctors will suggest certain medications combined with psychological and social therapy. Because yoga is a supplementary therapy, many doctors believe that the poses will really help in managing this disease. PTSD results when one experiences shocking and terrifying life events which can trigger flashbacks, nightmares and anxiety. This disorder is common with sexual assault victims and veterans who have combat trauma. Although, in all honesty, it is new and unexplored, experts advise that yoga maybe a useful supplementation program to people with PTSD. One of the best ways to keep your mind sharp is by engaging in physical activities. Inactivity leads to a cognitive decline. Since yoga is both a physical activity as well as a way of meditation, it can significantly mitigate that. So if you are suffering from moods and depression trying yoga poses may help improve that. Yoga is significantly beneficial to your mental health. But you should ensure that you pick the right yoga class so that you fully benefit from this practice. Some yoga forms are safer and gentler than others. So it is best that you look for a teacher who has been teaching yoga for quite some time. Also, if you are using yoga to manage a particular brain disorder or disease or if you have a pre-existing medical condition, ensure that you check with your doctor first. And lastly, remember to be careful. Yoga is a workout like any other, and if you do not take proper care, you may end up injuring yourself. Yoga is among the fruitful exercises that help you gain endurance, balance, flexibility and strength. You can use rely on this physical activity to stay fit or lose weight. Depending on the yoga type you’re doing, you can burn from 180 to 500 calories per hour. To burn the most calories, consider practicing the yoga exercises discussed below. You can best practice dolphin with your forearms lying on the mat. The posture is quite similar to the downward dog though it mainly leverages on the strength in your shoulders. You can count on it to strengthen parts of your body including the legs, core and arms. The exercise also opens the chest and shoulders up. For the best results, you should take at least ten minutes doing each set. You can involve your yoga instructor or do the exercise alone. Dolphin pose fully engages your triceps every time the forearms get into contact with the mat. Sun salutations are among the effective yoga techniques for activating the cardiovascular system. The set involves 12 poses strung together to improve your body’s stability and help you burn calories at the same time. With every movement, the poses energize, stretch and strengthen your muscles. Practicing sun salutations on a regular basis helps engage your abs, shoulders, calves, glutes, biceps, and triceps. The series also strengthens the lungs and improves blood oxygenation. Consult your instructor if you’re finding it difficult to do this exercise. The high lunge is a pose commonly included in different physical exercises besides yoga. Though it’s specifically good for the quads and glutes, it works the entire body. To perform this exercise, position your body in a squatting position with one foot forward while the other one placed at the back. Change the leg positions as you raise your arms in the direction of the back. When practiced regularly, high lunge can improve your body’s strength, balance and flexibility. You’ll even burn fat as you do this exercise since it forces your body to work harder. You need to balance the front and back foot for the best outcomes. The wheel is a yoga pose that requires attention to form and alignment. You’ll need to carry out several warm-up exercises for your body to conform to this pose. Consider jogging a bit or jumping at least five times to ease up the tension in your muscles. The exercise aims at opening the heart muscles and stretching the front part of your body entirely. When carrying it out, it engages the legs, lungs, buttocks, heart, arms and shoulders. Your heart rate may rise when performing the physical activity in a heated room. Have an expert or colleague by your side when carrying out this exercise for safety reasons. With Chaturanga, your arms will be working to maintain a 90-degree angle in your elbows. The pose is similar to a push-up position. When conducted correctly, it engages most of the muscle groups in your body. You need to hold your body still on the ground for you to burn more calories and improve your flexibility. You need to activate the glutes, which are the largest muscles in the body when doing this move. Chair helps you burn lots of calories as you focus on improving your balance and flexibility. To do it, set your body in a slightly-raised squatting position and lean forward with your hands lifted up. Chair pose is one of the easiest and safest yoga poses you can do. Plank is a yoga pose that helps you burn lots of calories since it requires your body to engage all the muscles. The exercise also forces your body to resist gravity with your hands and feet touching the ground. Raising one foot slightly off of the mat can help you burn more calories and gain flexibility and strength. Your metabolism increases the more you stay in the plank pose. The yoga exercises discussed above are only effective at burning calories when practiced regularly. You need to come up with a routine for doing them during your free time to shed weight and stay fit. The exercises don’t require any background training or knowledge. You simply have to do them as instructed for the best outcomes. Flexibility is one of the major benefits of yoga. It is also at the same time, the reason why most people can’t do yoga. A lot of people argue that their bodies aren’t flexible enough to do different yoga positions. Are you one of these people? Well, today you’re in luck. This article will show you how yoga makes you more flexible. If you feel that you are too stiff to do yoga. It’s similar to saying that you are too dirty for you to take a shower. The more you do yoga, the more flexibility you will achieve. This brings us to our first step on how yoga makes you more flexible. If you are serious about gaining flexibility, then you need to make the first and most crucial step. That is, booking a yoga class. Remember, we are all different. Some might achieve flexibility than others, but as long as you practice. By the end of the session, you will have added a certain degree of flexibility. As much as you want to be more flexible, you can’t achieve this overnight. Yoga isn’t a miracle. It’s all about determination, hard work, and consistency. It’s a journey that will bear a lot of fruits. Therefore, if doing a forward fold is proving to be a bit difficult for you. First, start by trying to reach out for your knees. With time, you will notice that your flexibility will increase. Remember, the type of yoga that you can do all depends on your flexibility. As you practice, your body can endure the stretching. You will be shocked at how much flexibility you can achieve in a short period. Now that you know the role of yoga in improving your flexibility, you now need to familiarize yourself with its different approaches. Yoga is entirely different from other forms of exercises. It’s all about practice and body posture. Don’t let that person sited next you intimidate you because he/she has easily folded his/her body in half, yet you can’t even touch your knees. You never know, he/she could be an athlete or a gymnastic student. It’s all up to you. You can’t be flexible if you are not patient enough. If you have been in a yoga class, most yogi’s or instructors put a lot of emphasis on patience. Therefore, once you break your flexibility goals into much smaller objectives. In time, you will notice how flexible you will be. Knowing that yoga isn’t a magic pill that will make you super flexible the next day is the ideal mindset that will see you succeed in your yoga practice. Be patient with not only your body but also your mind. Take this journey slowly. In a small duration of time, you will be amazed at the flexibility you will achieve. Another way on how yoga makes you more flexible is the various practices it entails. If you are determined to gain flexibility then you will practice frequently and hard. This day to day practice is what softens the body muscles. As a result, you will notice improved flexibility. The more you practice, the more your body gets used to stretching and the easier it will be for you to try out different yoga positions. Here are some ideal possess that if practiced regularly can make you more flexible. The Low Lunge – This fascinating pose opens up your back and upper abdomen thus improving the flexibility of both arms and legs. It’s pretty doable and great for beginners. The Intense Side Stretch – When practiced often, it can increase the flexibility of the chest, shoulders, hips, and hamstrings. These are only some few examples. But as you may know, there are different possess that improve the flexibility of different body parts. It’s therefore up to you to find which poses are best for your body. The above are the different ways on how yoga makes you more flexible. As you can see, practice, patience, and determination are key yoga components that will help you achieve flexibility. Being flexible is something we all long for. It’s because, a flexible body will make you strong, improve your body posture, reduce pain, give you peace of mind and much more. Even though yoga is great for improving flexibility, you should also identify your limits. Don’t force a pose if your body can’t withstand it. Practice yoga safely. When you think that yoga is for specific people and for a specific fix, then you are mistaken. Everyone can pick up the challenge and do great exploits. It leaves behind a good feeling when you practice daily and regularly. Well, a common misconception about yoga is the physical fitness only. However, people tend to forget the most crucial benefit of the same-the psychological healing component. It does well to a couple of psycho-social aspects, to both self and others. Here, I will walk you through eight benefits of yoga pertaining to mental functionality. Anxiety and stress are associated with mental disturbance. These feelings are as a result of frustrations, nervousness, or undefined worries. These symptoms can make one to develop a high blood pressure condition or diabetes. Luckily, yoga comes into the water down these symptoms and eliminates them altogether. A good regular yoga helps you have less anxiety. You get into a more relaxed state of mind. The mechanism works in that, the yoga helps you breathe deeply. This calms the entire nervous system. A move translates you from flight to a rest-and-digest state. Yoga is a treatment that nurses those with pinned downed self-confidence. Through a yoga exercise, you will get to know yourself better. This can be achieved by building your self-trust. Psychologists put it that yoga has a means of helping one cultivate a non-judgmental relationship with self. Yoga is a Greece that keeps the brain moving. It is a tactic that enhances the proper functioning of the brain through stimulating mental concentration. 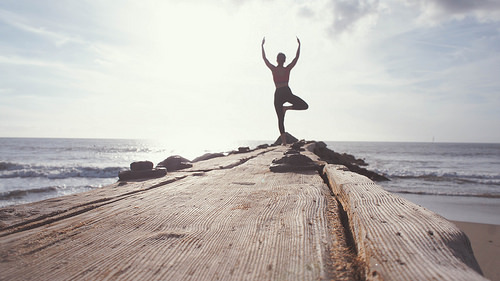 Studies have shown that people who carry out regular yoga practices boost the connection between a gamma-amino-butyric acid (GABA) and brain cells. 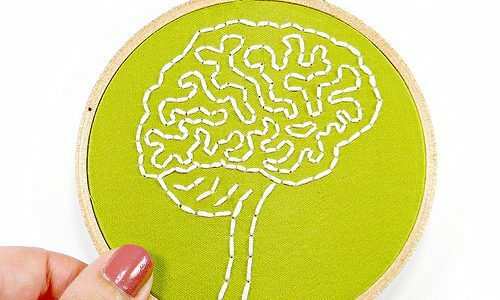 Low levels of GABA are associated with anxiety while high levels boost the general memory and cognitive functionality. People who do the yoga are said to have a sharp memory and focus. They process the information that comes along their way more efficiently. 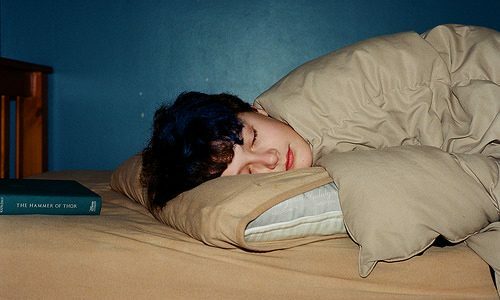 Chronic sleep disorders can be troublesome. This disorder is not a respecter of age. It affects both old and young. People with such a problem tend to cut down the rate at which they seep coffee. Some will go ahead and take sleeping pills to counter the situation. However, there is a simple way of reducing insomnia. Deep breathing and relaxation techniques that are brought about by simple yoga can do a great job to the sleeplessness. This chronic state affects the brain in a detrimental manner. Individuals suffering from the disorder may start experiencing some delusions coupled with personal loss. Although it is said that the condition cannot be entirely cured, yoga has a means of diluting the bizarre behavior as Portrayed by the victims of schizophrenia. A combination of yoga, social therapy, and medication could help in treating the condition. Yoga naturally keeps the body intact and fit. One becomes strong and supple. People who carry out yoga are said to recover from an injury fast. Since yoga involves meditation and mindfulness, it will eventually help one reduce sensitivity to physical pain. Parietal lobe, a component of the brain, is boosted by regular meditation. A part manages limb movement and speech cognition. One of the most important qualities of derived from yoga is the aspect of self-appreciation. Yoga will help you embrace the fact that you are always learning and growing. It will grant you an opportunity to pause and reflect on your intentions and for your daily practice. You are always coming back to self-evaluation to seek for answers as to whether or not you are headed to the right direction. Also, the yoga classes will help you associate with other people that will help you appreciate being part of something big. Here, you develop a sense of belonging meeting with people of like minded. Although physical benefits are largely pronounced and so obvious, the mental benefits of yoga are even more abundance and highly significant. The modern science and psychotherapy have pointed out more mental benefits. This is outright clear as discussed above. Research is underway to discover more yoga benefits associated with the brain. Thus, get in your yoga room or space and soak up all these astounding mental benefits of yoga. Yoga as your weight loss option is one of the best ways to shed that extra bulk from your body making it gentle and supple. Though there are no quick results in this, it sure helps in keeping you slim and healthy and brings a glow to your entire persona. In fact, yoga weight loss exercises are the best way to control obesity in all its forms such as mental, physical and emotional. In fact, one of the significant benefits of these exercises is this that they can be tried and done by people of all age groups from children to senior citizens. Yoga for weight loss is not the only thing that can be done with yoga. It utilizes your mental and spiritual self to gear it in a better direction. In addition to feeling better about yourself both mentally and physically, it also helps in making you successful in all your chosen endeavors. In fact, it helps you in achieving better control of your body and soul, in turn, helping you achieve that ideal weight. Increases the staying power and body flexibility, ultimately helping us in keeping into that right shape Breathing exercises involved in yoga detoxifies and cleanses your body, giving it a new life and glow through an increased flow of oxygen in the body strengthens your muscles and your bones while improving your immunity against several common ailments Stimulate your body cells through various asanas and postures through an increase in blood circulation. One of the main and added benefits of yoga weight loss exercises is such that once you get off the same, they become easier to follow and enjoyable to practice. Every session will leave you feeling re-energized and refreshed without compromising on the workout that your body needs for weight loss. So stop thinking, and start practicing to achieve that happier, healthier and holier you. Popular for its ability to bring down the body’s stress level, enhance flexibility and develop and tone lean muscle, yoga is less recognized for the similarly powerful outcome for weight loss. You may not know yoga described in this context, but it could be a powerful way to lose calories. Yoga is not thought of like a specifically effective kind of workout. While it works out your muscles, it can be rare to become very exhausted during yoga (unless you are doing Bikram yoga, however, the room will be heated). The muscle toning effects of yoga do enable you to reduce calories proficiently, however. Which means that a program of aerobic exercise in conjunction with yoga will create better results than if you were not doing yoga alongside aerobic exercise. Yoga also teaches a discipline that will assist you significantly in staying with your exercise regime or new diet. Yoga tones up the connection in between body and mind, helping to make you more motivated to take care of your body. Those who would like to lose weight frequently are afflicted by the difficulty of having motivated in the, to begin with, so yoga can be quite helpful here. Vinyasa yoga – This type of yoga is founded on movement from one pose to another while exercising yoga breathing techniques. Sun Salutations are often used, but other positions usually are included too. This is sometimes carried out in a hot room to improve sweating. Ashtanga yoga – It is a complex style, integrating six separate series of various positions. These increase in intricacy, so you should start in the beginning and master as you go. Power yoga – This “westernized” kind of yoga includes more activity and fast movements alongside yoga breathing. These yoga techniques give many heart-healthy benefits of aerobic exercise versus the typical kinds of yoga. While they won’t quite provide you with the workout of a cardio class, you still obtain the dual benefits of aerobic fitness and the muscle toning and versatility of yoga, which will certainly help your weight loss efforts. And they’re great for people who are too busy for more than one workout routine. Apart from being forms of workout, yoga and aerobics appear to have little in common. But traditional yoga can improve the results of more intense workouts, and these newly common styles of yoga can give you the best of both worlds. If other workout routines have left you unhappy, adding or changing to yoga might be the solution you’re looking for.